By default, Veeam Backup & Replication uses port 443 to communicate with vCenter Servers and ESX(i) hosts. 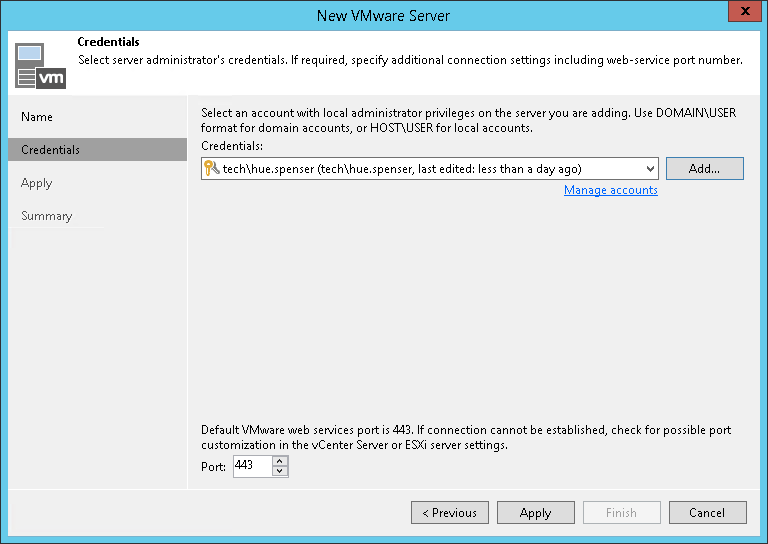 If a connection with the vCenter Server or ESX(i) host over this port cannot be established, you can customize the port number in vCenter Server/ESX(i) host settings and specify the new port number in the Port field. 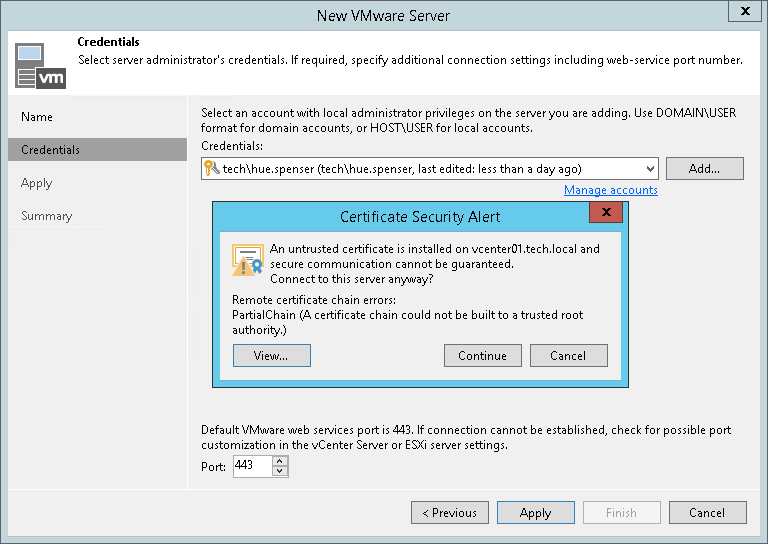 When you add a vCenter Server or ESX(i) host, Veeam Backup & Replication saves to the configuration database a thumbprint of the TLS certificate installed on the vCenter Server or ESX(i) host. During every subsequent connection to the server, Veeam Backup & Replication uses the saved thumbprint to verify the server identity and avoid the man-in-the-middle attack. For details on managing TLS Certificates, see TLS Certificates.